Stephanie Rubin is CEO of Texans Care for Children, a nonpartisan advocacy group based in Austin. She says the ruling is overwhelmingly positive. “The ruling is a real vindication for the plaintiffs and an important victory for all kids in Texas foster care,” Rubin says. 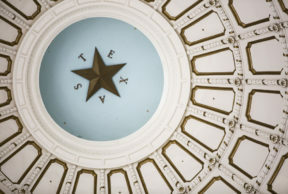 She says judges on the appeals court panel, all of whom were appointed by Republican presidents, found a “substantial risk of harm” to the more than 10,000 children in Texas foster care. Risks included high workloads for caseworkers, poor monitoring by the state and a failure by leaders to address the system’s problems. Rubin says the plaintiffs in the case were children who had been removed from their parents’ homes, and had been in foster care for some time. Because the appeals court invalidated some remedies ordered by the lower-court judge who initially ruled, Rubin says the state needs to find new ways to address the problems that continue to exist. She says the state will need to fund more caseworkers, increase oversight at large facilities where foster children are housed, and hire more staff to provide oversight of the system. Rubin says she doesn’t think the state will appeal the appeals court’s ruling, and that it will begin to take steps to comply.